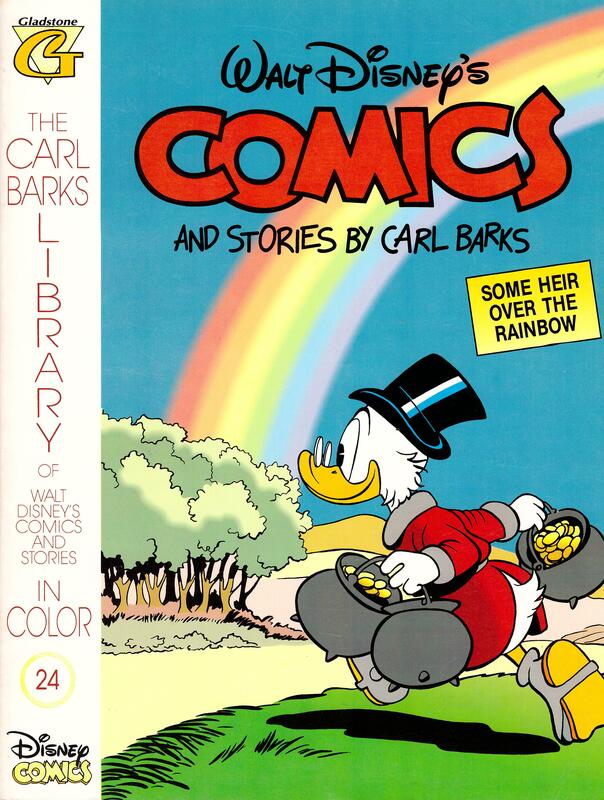 Perhaps because he hadn’t included Uncle Scrooge much in his ten pages during the opening half of 1953, Carl Barks featured him in three of the five stories closing the year. In two of them Donald Duck is foolish enough to challenge Scrooge, and there’s only ever one winner in those situations. 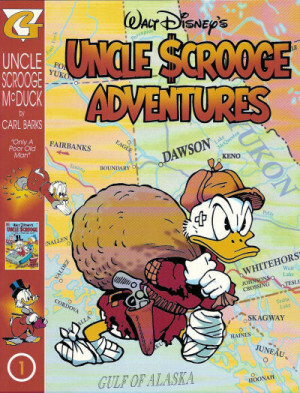 In the final tale Scrooge is determined to buy Donald’s house as he needs the land, but won’t pay a cent above $2000, while Donald is equally adamant he won’t sell until there’s a higher offer. 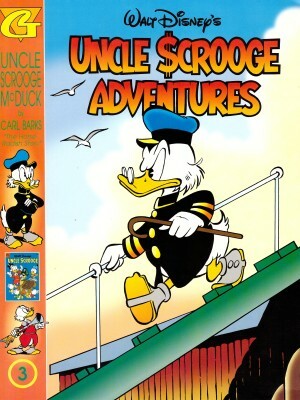 Having established the ground rules, Barks works towards an excellent finale true to both characters, along the way featuring a conniving Scrooge and an obstinate Donald while Huey Dewey and Louie despair. The other head to head between Donald and Scrooge starts with the philosophical point of view that Donald has nothing that Scrooge can’t buy. This even applies to youth, and in order to approve it, Scrooge is happy to accept Donald’s challenge to be the first to the top of the fearsome Demon Tooth mountain. Where it goes from there is bizarrely brilliant, and presumably as much to do with what Barks felt like drawing that month. 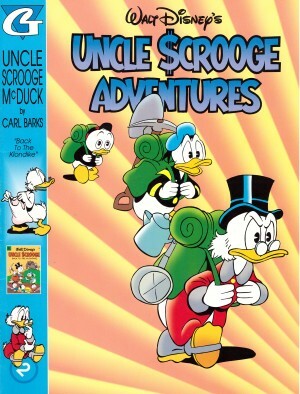 Scrooge also features in the opener, testing his relations with regard to who’ll inherit his fortune. It’s a great story, but with an ending that would later be rescinded as Barks became more comfortable and consistent with Scrooge’s character. 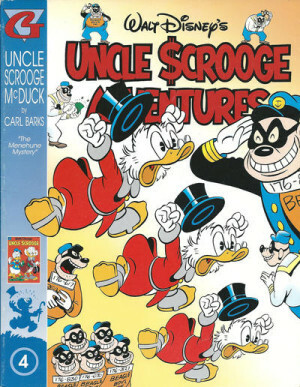 To this point all stories featuring Scrooge in this series pre-date his own solo series, also created by Barks. Gladstone and Daisy feature in a tale of Donald making a success of himself for once, running a business manipulating clouds so precisely he can ensure they only rain on one side of the fence. In order to carry out this specialist work Barks creates a biplane with bulldozer and corkscrew attachments for Donald, a lovely device he enjoys drawing. Entertaining though that is, the finest story in an excellent selection concerns Huey, Dewey and Louie’s attempts at bee keeping. 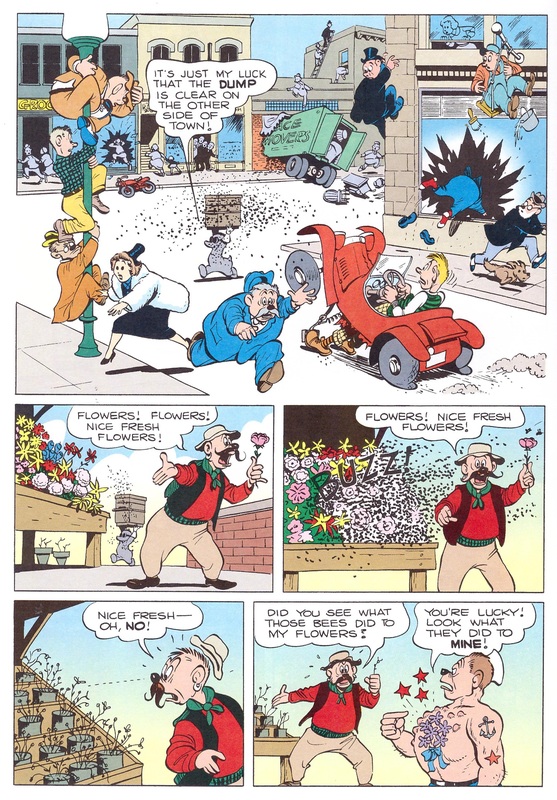 As seen by the sample page, Barks takes a rare break from his eight panel grid storytelling system, and has a wonderful design for Donald in his protective gear, nonetheless creating havoc as he transports a beehive across Duckburg. Barks’ gags on the theme are great, and his drawing, as ever, impeccable. As this book is long out of print, it’s easier to find this content in the Fantagraphics hardcover volume of Barks’ work Trick or Treat.